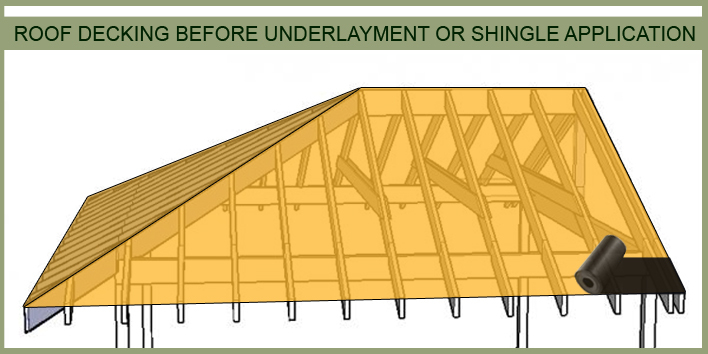 The number one reason shingles fail prematurely is improper installation. TRR Roofing builds your new roof correctly from the deck up and professional project management ensures your roofing goes smoothly. For those we cannot reach to provide our services, we hope the information provided herein proves to be a helpful resource. The proper layering of shingles is just as crucial as 1) a properly installed roof deck and 2) a seamless installation of underlayment. 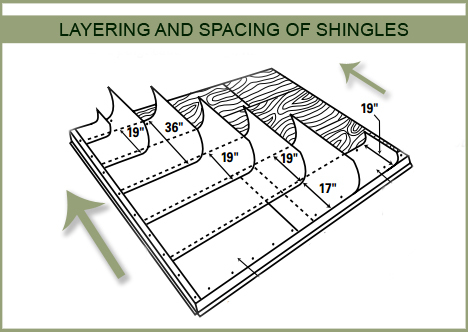 With careful attention to detail on the spacing/ overlapping of the shingles from the eave to the ridgeline, you have a snug puzzle seamlessly covered roof deck that supports an ultimate longevity of both the deck and shingles. 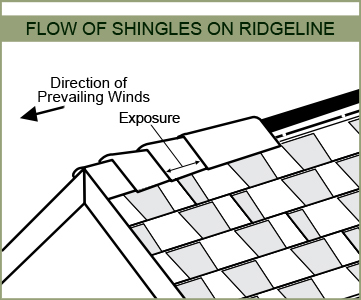 An application of Zinc tape along the top of the roof's face provides a seam before placing the ridgeline's shingles. 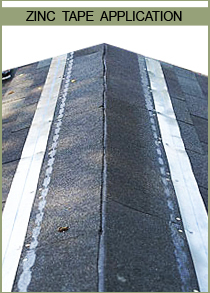 These seams help protect the roof from future intrustion of moisture settling in. © 2003 - 2014 TRR Roofing, Inc. - All Rights Reserved.